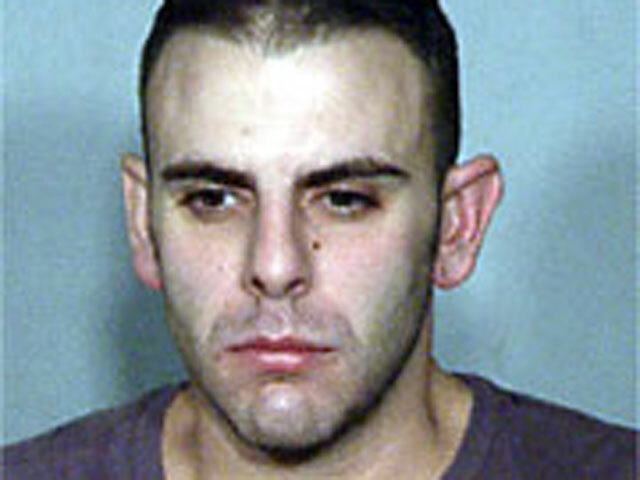 (CBS/KLAS/AP) LAS VEGAS - Anthony Carleo, son of a former Las Vegas judge who wore a motorcycle helmet and brandished a gun as he carried out a Hollywood movie-style holdup of the Bellagio casino, was sentenced Tuesday to at least three years in prison. Carleo, who made off with $1.5 million in casino chips, plead guilty to the crime in June as part of a plea deal. His maximum sentence is 11 years, but he was given credit for the time he has already served, reports CBS affiliate KLAS. Carleo apologized at his sentencing for "all the chaos I've caused." His spree was captured by security cameras, which showed him wearing a helmet and carrying a handgun as he dashed out of the Bellagio resort on the Las Vegas Strip, carrying $1.5 million in chips. Carleo then pointed his gun at a valet before jumping on a motorcycle and speeding away before dawn on Dec. 14. No shots were fired. Assistant District Attorney Christopher Owens said Carleo deserved a stiff sentence because he put many people at risk by robbing the casino and he showed no remorse for the crime. Prosecutor Chis Owens, who argued for a tougher sentence, said when Carleo was arrested, authorities discovered written plans by him to rob Caesars Palace. It is a casino that sits north of the Bellagio. Carleo will be sentenced Thursday in another case - a Dec. 9 robbery at the Suncoast Hotel & Casino in northwest Las Vegas. That robbery netted nearly $19,000 in cash, and authorities have said it played out like a dress rehearsal for the Bellagio theft. Carleo is the son of former Las Vegas Municipal Court Judge George Assad. Assad was ousted by voters in June from the bench seat he had held since 2002. He hasn't commented about the case since issuing a public statement following Carleo's arrest Feb. 2 at the Bellagio. Police said Carleo was trying to sell several $25,000 chips to an undercover police officer.